Does your makeup speak for you? Complete this poll to find out! If most of your answers are (a)s & b(s): Natural Beauty! You believe in natural beauty but do realise the importance of basic makeup. For those special occasions when you want to go for a dazzling look, experiment with colors! Try different eyeliner styles to accentuate your eyes. 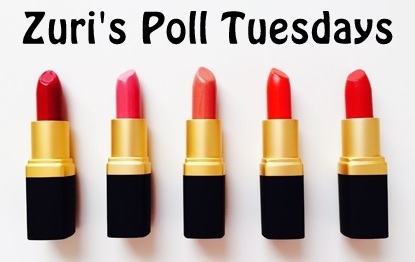 Go for darker hues of lipsticks and try some colored blushes as well! When going for your favorite look, i.e. natural, we suggest you try mineral makeup for a healthy glow. If most of your responses are c(s): Your skin needs a break! Give your skin a break and lay off the make up or at least switch to bare minimum. Cut back on the blush, only use a thin line of kajal on the lower lash line in the day time. Try not to purchase any darker shades for a change! Try switching to a lip gloss, natural shades of nail paints, blushes etc. If most of your answers are d(s): Stop being a tomboy! First of all, we suggest you go to a hair dresser and get something really nice done with your hair 🙂 Now, please do understand that it’s normal to wear makeup. It’s nice to highlight your facial features. Atleast, give it a shot. Start with a nail-paint. File your nails and polish them. You can’t go wrong with a little bit of gloss and kajal or a mascara!